Bamboo sheets made from from 100% bamboo cellulose are known for their luxurious softness, smooth hand and eco-friendly cachet. Bamboo bedding is naturally soft and silky, naturally thermal regulating, hypo-allergenic, and part of a good ecological narrative. Your sleep environment is an important personal retreat where you will spend almost a third of your lifetime. Bamboo Sheets are unsurpassed in their ability to make your sleep environment comfortable, restful and welcoming. Bamboo sheets are silky smooth, non-abrasive and very soothing to the skin. The underlying bamboo viscose yarns are derived from 100% bamboo fiber, and are naturally round and remarkably smooth. When woven, in an ultra-fine twill weave, into bamboo sheets, bamboo pillowcases and bamboo duvet covers, the resulting bamboo bedding is very similar to fine silk. An added feature derived from the silky smoothness of the bamboo yarn is an elegantly rich and natural luster. Summer: By enhancing moisture evaporation, bamboo bed sheets and duvet covers are excellent for keeping cool in hot weather. Winter: By helping one to stay dry under an insulating duvet, bamboo bed sheets and duvet covers are excellent for keeping warm in cool weather. Bamboo bedding is naturally hypo-allergenic. Luxury Bamboo Bedding has taken an extra step to ensure that our bamboo sheets are hypo-allergenic. Our Oeko-Tex Standard 100 certification, which is highly regarded in the textile community, confirms that there are no traces of harmful chemicals in our bamboo bed linens. This extra step ensures that our bamboo fabrics are free of traces of formaldehyde which has been implicated as the causative agent in allergies to textiles in general. The environmental benefits of bamboo as a source of fiber are consistent with an ever increasing need to make sound ecological choices. Bamboo is a woody, perennial member of the grass family that has a wide range of environmental applications, including carbon sequestration, wastewater reuse, and soil and water erosion control. Like your lawn, bamboo regenerates without the need for re-planting. 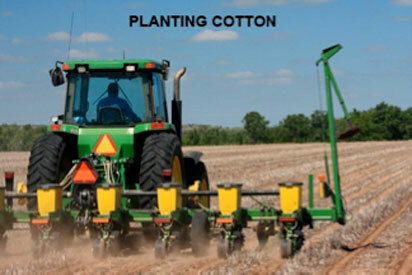 It does not require the intense agricultural management and expenditure of energy to re-seed every year. Bamboo is sustainable and an excellent source of fiber for our bamboo sheets and duvet cover sets. Bamboo grows without the need of fertilizer (that can taint the watershed with harmful chemicals). It can take almost a 1/3 of a pound of synthetic fertilizers to grow one pound of raw cotton, and it takes just under one pound of raw cotton to make one t-shirt. Think about it. The bamboo plants that provide fiber for our bamboo sheets do not require fertilizer. Bamboo grows without the need of insecticides. Cotton covers 2.5% of the world's cultivated land yet uses 16% to 25% of the world's insecticides, more than any other single crop. The bamboo plants that provide fiber for our bamboo bedding do not require any insecticide. Bamboo is one of the fastest growing plants and one of the most efficient consumers of CO2 and producers of O2. The process is known to us as photosynthesis. With the help of chlorophyll, plant cells in green plants like bamboo, use the energy of the sun to extract carbon from carbon dioxide in the atmosphere to create plant tissue and life sustaining oxygen. 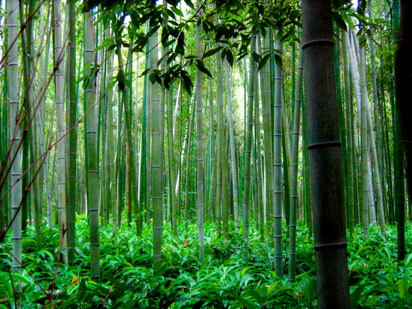 Bamboo plants absorb 5 times the amount of carbon dioxide and generate about 35% more oxygen than an equivalent stand of trees. Rapid bamboo growth is good for the environment and bad for greenhouse gases. The bamboo plants that provide fiber for our bamboo sheets are the heart of the good ecological narrative associated with bamboo bedding. Your sleep environment is an important personal retreat where you will spend almost a third of your lifetime. It should be an oasis of comfort to recharge and restore your life-energy. It has been a source of pride that our silky soft, high quality bamboo sheets, pillowcases and duvet covers have added quality, comfort and luxury to the sleep experience of our customers, and that bamboo as a source of fiber for our bamboo bedding has been a sound, environmentally friendly choice for our company. Pamper yourself. Sleep in comfort and luxury in bamboo bedding from Luxury Bamboo Bedding. You deserve it.